Between traveling and the holiday sales season, there hasn't been a whole lot of time for me to work in my sketchbook. Now that things have finally slowed down, I'm excited to get back to regular blogging and regular sketch-booking. My trusty Moleskine with tool belt. Though it hasn't gotten much use in the last 2 months, I've almost always got it with me. 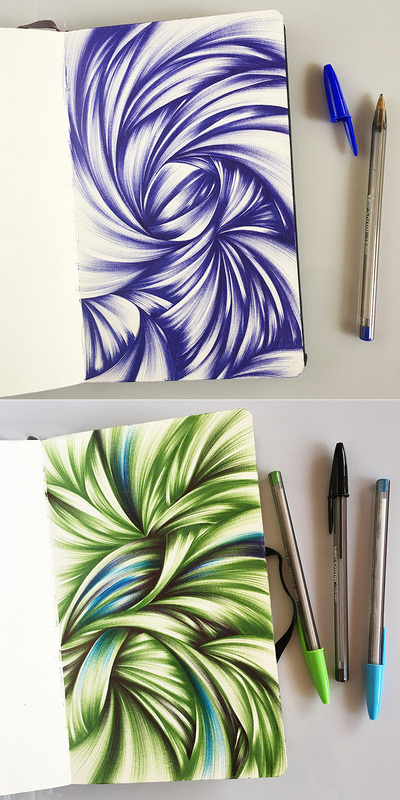 A duo of ballpoint pen sketches from the fall of 2017. 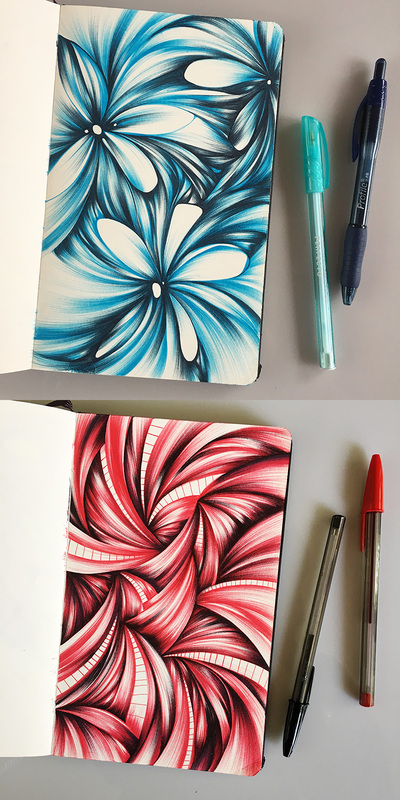 I'm looking forward to more time for sketchbook explorations over the holidays and in 2018. I'm itching to try some new things!